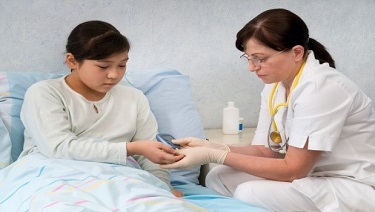 Low or high blood sugar in a child with diabetes can cause loss of responsiveness. All of the cells in our body depend upon sugar in our blood as the main source of energy. This sugar comes from the foods that we eat. Certain organs in our body also make and store sugar. When the body is working properly, it automatically regulates the amount of sugar in the blood. When there is too much sugar in the blood, the body makes insulin, which lowers blood sugar. When blood sugar levels are too low, the body cuts back on the amount of insulin that it is making and lets the blood sugar levels rise. When blood sugar levels in the body are lower than normal, a child has hypoglycemia. Signs of hypoglycemia in a healthy child are usually mild, such as irritability. In a child with diabetes, hypoglycemia can lead to loss of responsiveness if not treated quickly. A diabetic child can get hypoglycemia if he doesn’t eat enough or doesn’t eat at the right time. He can get hypoglycemia if he takes too much insulin. Blood sugar levels may drop because of exercise, being overheated, or illness. 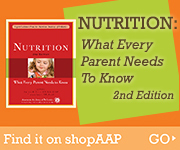 A diabetic child may have too much sugar in the body. This is called hyperglycemia. It is the opposite of hypoglycemia. This condition may be caused by too little insulin, illness, or stress. It may be caused by overeating, inactivity, or a combination of all of these factors. If you are not sure if the child has hypoglycemia or hyperglycemia, give sugar. See if the symptoms improve. Always call EMS if symptoms are severe or if the child becomes unresponsive.